After successfully writing the Application essay – the Degree Options are selected, appeared for an ACT test or a SAT test, admissions granted, Accommodation found; and after listening to parent’s advice about Healthy living - it is the show time. How to study…how to prepare…where to find the best guide to studying in college or high school…what are the Dos and Don’ts for studying successfully? Experts at schoolandUniverstiy.com – basis their wide experience; hereby suggest a few but effective study habits about writing and vocabulary- concentration - memory and motivation that can enhance study skills irrespective of the fact that; student is from middle school - high school – or is a college student. They should develop these habits in order to attain the goal of successful completion of their studies. All these habits are kind of universally followed rule book and hence it is advised to go through all the points carefully – enhance the habits you have and develop the one that you do not have. We all would have heard about this saying while our school days; but it is not just a saying. It has its own importance and worth if been followed religiously. Do not intend on doing everything at a go. Studying too much at a time will make you feel tired and bored. Because of this you might lose interest in studies. On top of it; the studies you did might not prove effective due to these reasons. Hence it is advised that one takes small breaks during study sessions to feel fresh and with restored energy. Study time is the time when either you are doing your school related work – homework –assignments – project work – test preparations…or anything. But it has to be at a scheduled timing and finding the right study space is the task to start with. Develop a habit to sit and study daily at the same time. This will enable your mind also to set a time table for itself and gradually your inclination towards studies would increase in those particular hours of the day answering your main concern of how to get the most out of studying. It also helps you develop a routine for yourself as good as sleeping, watching TV or eating. Emergency test preparations are to be treated as a neatly pre planned activity devoting some time daily to it. Checks and balances for the studies that you do would certainly help you assess your progress at a very early stage. 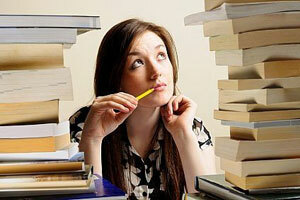 A study routine is not that effective and hence a goal attached to your studies would do all the wonders. We often see that we tend to delay the assignment or homework that we are not fond of or it is too tough and time consuming. It is an advice to overcome such feelings and habits at the first possible chance you get. If not; then it will become a habit which will start showing results on your other day today activities as well. One will have to rush to reconcile the time wasted due to delay in action which will show up as carelessness and errors. Follow this rule: any assignment, subject, and project – questions, you feel and find to be tough…attempt them first. Learn the most important topics first – make it a thumb rule. Make flash cards – taglines or titles for research paper topic guidelines also helps. It is also suggested that when you do it this way…your mental energy in the initial hours of study is fresh and high. So the chances of you resolving such tough questions is high and also this small success will keep you motivated during your study schedule…all through. Interruption and distraction are the two main issues one faces while he/she studies. It could be primarily the Mobile phones followed with other factors including friends, Television, relatives or anyone and anything. Make it clear to yourself and others to not to disturb you while you are studying. It is so because once you are either interrupted or distracted from what you are doing – getting back to your studies with the same wavelength and enthusiasm is a very tough task. Create an appropriate study environment for yourself – it really helps. Improve your learning methods and styles by checking the study chapters/assignments you completed and rechecking or reviewing it before submission or for revisions – it is a very good habit. It gives you double surety about whatever you have finished. Weekdays are for regular or routine activities whereas students are advised to spend some time on the weekends for this activity. It has two advantages – Your daily routine studies are not impacted due to this revision – you are able to maintain that link/connect with your study material. Now that we know some good means and ways of keeping up to the requirements of studies and the methods of how to study…one thing that remains is the motivational factor that needs to be included to bring about an essence to the entire topic. We frequently see the lack of motivation in a lot of students which directly affect their studies and in turn their results as well. It is a common problem faced by a lot of students across the globe. Motivation happens to be a very necessary and important element for studies as well. If an individual is motivated – focusing on the subjects and assignments becomes very easy as compared to cases where one is not motivated, depressed or bored. After every successful study session or accomplishing a big assignment or tough homework; treat yourself thoroughly. Studying with a friend or classmate or a roommate would make it more interesting and fun filled…but ensure to not to party every time you all meet to study. Whenever you feel bored or think that you are done with enough; remind yourself about the life time achievement goals for which you started studying. This will keep you up and going to grab the educational success required for long term goals which can be achieved only if you know HOW TO STUDY? Keep your spirits high always; that you want to study more and more. This will help you to not to get distracted by other things which may not allow you to study. Develop interest in your subject to keep yourself motivated for studying. This can be done by reading or doing a bit more research on your subject. Rewrite your notes at home - It will also help you stay ahead of all your classmates. Keep refreshing yourself with breaks whenever required or you feel the need. It is logical to do as it would help you to resume and achieve the task faster and up to the mark. People might find it funny or illogical; but studying in a zone where you feel comfortable and in front of a poster with some nice words or saying about success will always keep your thought process positive and keep you motivated. Just follow what you have decided – and once you have done so…you will certainly like it and then slowly it will become a habit of you being motivated and studying successfully.